by the heavy cruiser Prinz Eugen in June 1941. Thus, Operation Cerberus, better known as the Channel Dash, was planned and started on 11th February 1942 when the three ships with destroyer escorts left Brest and broke the British blockade around the port. Despite marine and airborne British reconnaissance, bad weather and poor visibility enabled the German ships to enter the Straits of Dover 12 hours after leaving Brest before they were discovered and serious attacks could be mounted. 42 Squadron were called into action to hunt the German ships and located them off the Dutch coast. Eight Beauforts abreast, including AW373, they attacked the ships but bad weather and extremely poor visibility hampered their efforts. The attack was unsuccessful with not a single torpedo finding a target. 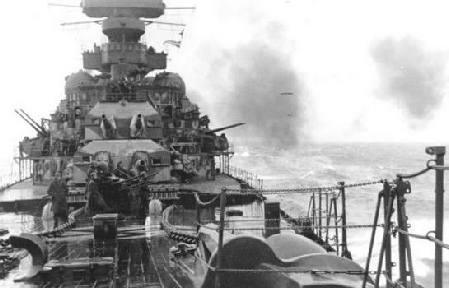 The Scharnhorst and Gneisenau hit mines in the North Sea and were damaged but by 13th February, the three ships, under heavy Luftwaffe cover had reached German ports. The Channel Dash was seen as a tactical victory for Hitler but a strategic defeat. The three ships had wreaked havoc in the Atlantic, sinking many cargo and other vessels, but after Operation Cerberus they were side-lined in the Baltic Sea without the ability to break back into the oceans where merchant ships supplied Great Britain with freight and food. Bill had taken part in about 30 missions by early 1942, mostly against German shipping off Norway, and had survived. The only incident of note was on 20th March 1942 when their plane overshot the Sumburgh runway in atrocious weather and the aircraft ended on the rocks. The plane was badly damaged but the crew escaped the wreckage and were all safe. The Beauforts were equipped with a new version of Anti-surface Vessel Radar which enabled them to obtain a position fix on a ship or, in different circumstances, a submarine. The equipment was top secret and so the planes were forbidden from flying over enemy territory because of the risk of the technology falling into German hands. Beaufort to the right was shot down and Bill’s plane took a hit on the port (left) engine. This not only reduced the plane’s performance so that it could not gain any height but also disabled the hydraulics powering the gun turret.